At the beginning of 2010, I was in my second year of university and completely unsure of the direction I wanted to take. The only thing that really struck my interest was editorial illustration, but I also loved print and collage. I felt uneasy about my future as I had no recognisable style and worried I just wasn't strong enough to make it into such a huge industry as illustration. However, as my summer holidays took underway, I received an email from an online magazine I'd subscribed to. 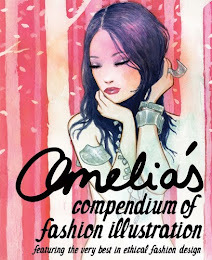 It was all about a wonderful opportunity to be in Amelia's Compendium of Fashion Illustration. The open brief looked fun and exciting, so I decided I'd enter, I thought if nothing else it would keep me illustrating over the summer. I'd never done fashion illustrations before, so thought I had no chance. It was at this point that I joined twitter and a little later I set up a blog (Amelia insisted that participants be on twitter - so thankful for that, at the time I didn't think it was important, but it's brought so much to me). Each of these decisions were some of the best things I ever did. After entering, I kept answering calls for illustrators for Amelia's Magazine and worked hard all summer. I was on holiday in Venice when I got an email saying I'd been chosen for the book, and I'd never been so excited or happy! I've produced quite a lot of illustrations for them now, and am so grateful because without this, I'd still be lost. Thank goodness for that email, eh? 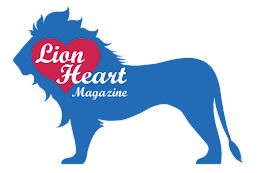 I have since contributed to Cellardoor Magazine, Craft Guerrilla, been featured on numerous blogs, been a finalist in a Company Magazine fashion illustration competition and jointly set up Tea & Crayons Collective with five of the loveliest girls I could ask to meet. This year has changed me so much and I am now more confident, happy and excited for my future than ever before! This year, I think, is going to be great! I just want to share some of my New Years Eve photos before I leave. For years, I have been so disappointed by New Years, so decided to do something completely different - stay in with my lovely boyfriend! That's our mulled wine in the early stages hehe :) it was very yummy!